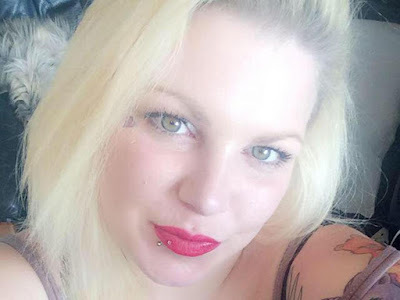 A mother with extreme depression killed herself after making repeated calls to a mental health helpline and sending a final text to her psychiatric nurse. Natalie Winter, 29, from Lewes, Sussex, called the Sussex Mental Health line 18 times on New Year's Eve which went unanswered, Eastbourne Coroner's Court heard. She then text her psychiatric nurse, Alison Shine, to say: "I've tried to hang myself and can't get through to the mental health line." According to the MailOnline, Ms Shine told the inquest: "I heard my work phone go off and I thought "I'm not on duty and I haven't got the emotional strength to even look at it'." She said she had recently lost someone close to her and was in a difficult mental state. When she checked her phone over two hours later, at 5.54pm, she replied: "You need to find an ambulance and go to A&E." Asked by the coroner if she should have called the police, Ms Shine said she did not call 999 or Ms Winter. Alan Craze, the coroner, said it was estimated Ms Winter, who volunteered at a food bank, died between 4.10pm and 5pm. Since her death, Sussex Partnership NHS Foundation Trust said it had introduced an answerphone service. The court heard Ms Winter had been "strongly into drugs" in 2012 and 2013 and had self-harmed during that time, but had stopped taking drugs and seemed "more stable" through 2015. After a break-up in April last year there was a decline in her bipolar condition. She was found hanged at her home by a neighbour on New Year's Eve, 2016, and pronounced dead at the scene.